Lerner Digital is releasing 103 new Lerner Interactive Books™ for fall, our largest season of Interactive Books yet! These eBooks are designed to improve literacy skills and reading confidence for struggling and emergent readers in grades K-6. 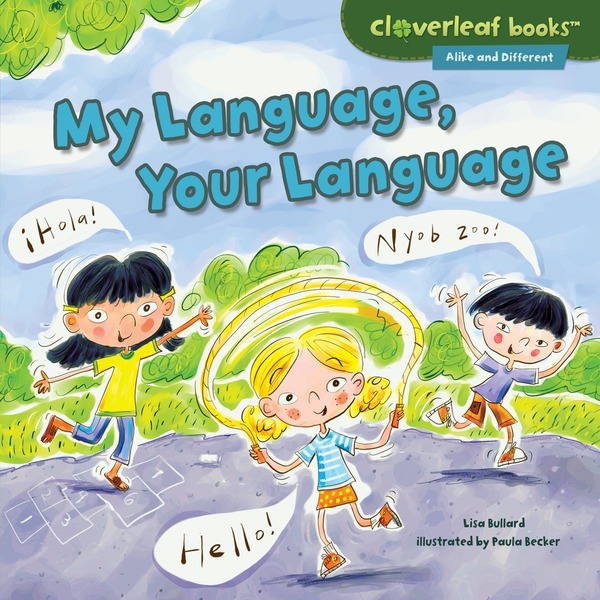 They feature three speeds of audio narration to model pronunciation; word and phrase highlighting to help readers follow along; a colorful, robust user interface designed for intuitive control and exploration; and fun interactive tools and activities. Lerner Interactive Books™ are a versatile digital option for a variety of readers, from beginners, ESL, struggling readers, or proficient readers. And with multi-user access, all students can access titles at the same time! This year’s collection includes titles from Lerner Books’ brand new Bumba Books™ series. Bumba Books are a dynamic new brand for grades PreK-1 that open up the world of nonfiction for emergent readers. Summer is Fun has clear, lively text and fresh, vibrant photos to engage young readers in learning about the warm, sunny season of summer and its changes and adaptations. Bumba Books such as this one inspire wonder about the world, with series covering everything from animals, holidays, community helpers, automobiles, sports, and seasons. They also feature critical thinking questions and a photo glossary to help develop nonfiction learning skills. The Land Sharks take on the Algae Eaters in a dino-swimming showdown! Raptor and Stegosaurus start it off in the individual medley, while the Ptero twins battle it out in the butterfly race. Then Galli and Diplo wow the crowd with their flips and tricks off the diving board! But which team will win the swim meet? It comes down to the last event: the backstroke. Both Stego and Galli think they’ll take the prize. 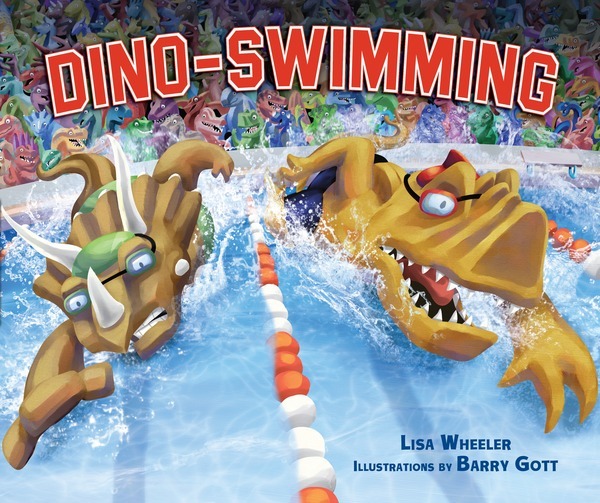 Let’s hope these dinos remembered their goggles—this swim meet is bound to make a splash! There’s a new girl in Romelie’s class named Camila. Camila speaks Spanish, and she’s teaching it to Romelie. That gets Romelie thinking. What other languages do people speak? Her own family uses English and American Sign Language. Her mom’s friend knows Somali and Arabic. Can Romelie discover more languages in her city? How are they like her own? How are they different? A diverse cast gives multiple points of comparison. Part of the Our Great States series. 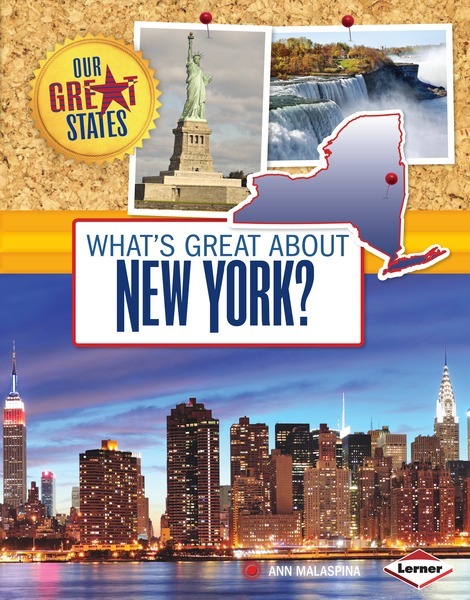 Find out the top ten sites to see or things to do in the Empire State! Explore New York’s busy Big Apple, beautiful waterways, and rich history. The New York by Map feature shows where you’ll find all the places covered in the book. A special section provides quick state facts such as the state motto, capital, population, animals, foods, and more. Take a fun-filled tour of all there is to discover in New York. Contact your sales rep to order today, or get in touch with Lerner’s Customer Service team at 800-328-4929, or email Custserve@lernerbooks.com. Or if you’d prefer to sample some Interactive titles first (along with Lerner Digital eBooks and Audisee eBooks with Audio™), sign up for our free 30-day trial!